He may not be a part of the band, but he's still a Jonas! 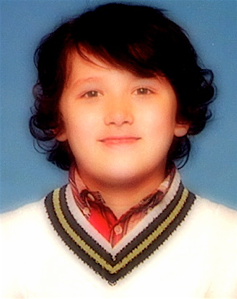 Franklin Nathaniel Jonas was born to Kevin Jonas Sr. and Denise Jonas on September 28, 2000. Is younger sibling of Kevin, Joseph, and Nicholas- otherwise known as The Jonas Brothers. Has his own band called Webline which he says his brothers will be opening for someday. Played football on a team called the Jr. Hornets. He plays center field, meaning he calls all the huddles. He is a huge New York Yankees fan. Favorite color is "red orange"
He has a role in the upcoming Disney Channel television series, J.O.N.A.S.! (Junior Operatives Networking As Spies), along side his three older brothers. "TV, because it mesmerizes me." "Frank the Tank. I have it engraved on a brass ring I got at Disney World." "I already have a band. It's called Webline. I've already written a bunch of songs. It's pretty awesome. "My brothers will be the opening act for my band." "Ride my scooter up and down the halls fast, and I play computer games." "He's on the phone 24/7." "He shares a bunk bed with me."